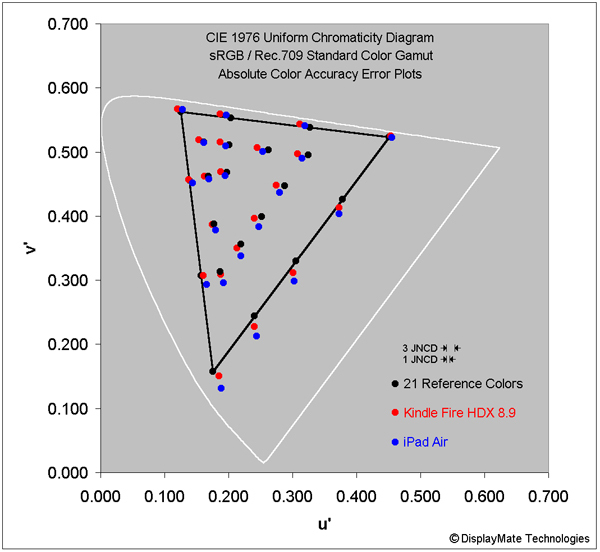 Figure 2b below shows the measured on-screen colors for the 21 Reference Colors as displayed on the Kindle Fire HDX 8.9 and iPad Air. 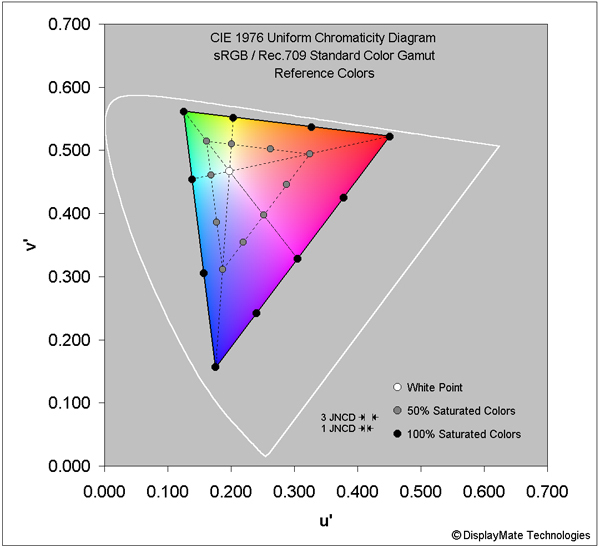 The Nexus 10 is not shown in the Figure because its small Color Gamut results in very large errors within the plot that are hard to correlate with its correpsonding Reference Color. The Reference Colors are all shown as Black circles amd the measured Chromaticities for the Tablets are shown as Red and Blue circles. Color Errors smaller than the appropriate JNCD are not visually noticeable. The 1 JNCD and 3 JNCD are discussed next and appear in both Figures 2a and 2b.